'The Height of Luxury' Located in the heart of New Plymouth, only minutes walk to Pukekura Park, our fantastic foreshore walkway, downtown, restaurants, cafes and bars. 2 access units and 32 luxurious suites with queen-size beds. Spa baths in each unit. Studio accommodation through to 2-bedroom family suites. All units air-conditioned, with 32in TV and guest select sky with 50+ channels. Wireless high-speed internet available. Conference facilities for up to 20 (round table) or 40 (theatre-style). 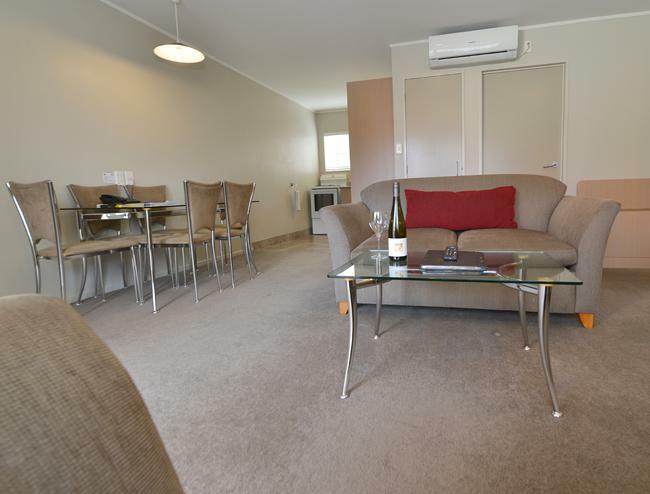 'The Height of Luxury' Located in the heart of New Plymouth, only minutes walk to Pukekura Park, our fantastic foreshore walkway, downtown, restaurants, cafes and bars. . . . More . . . The Tawhiti Museum is a truly unique heritage enterprise. The creation of artist Nigel Ogle, its attention to detail is simply stunning. . . . More . . .
Stay at the famous Leigh Sawmill Café - Stylish & Comfortable Accommodation retaining the character of the original saw milling shed - a wonderful hideaway . . . More . . . The Cable Bay Vineyards Estate consists of an on-site winery, cellar door, vineyards, olive grove and 2 exceptional restaurants offering both New Zealand fusion and . . . More . . .
Coopers Creek Vineyard has been crafting award winning fine wines for three decades: New Zealand’s favourite styles and intriguing international varietals for wine lovers around . . . More . . .